In the first few weeks after having submitted your membership application to CAP National Headquarters, you should receive a packet of membership and training materials in the mail. But, just because you do not have your packet yet does not mean you cannot get started on training since the printed training materials you will receive can also be found online. 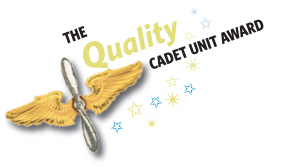 Once all of the above are completed and reviewed by squadron leadership, a cadet is eligible for promotion and will soon be “pinned” with his or her new rank. Although a significant first step, the first promotion is only first of many exciting opportunities for personal growth, development, and promotion within the CAP. The best source of information for all the cadet training requirements is the cadet Stripes to Diamonds page.